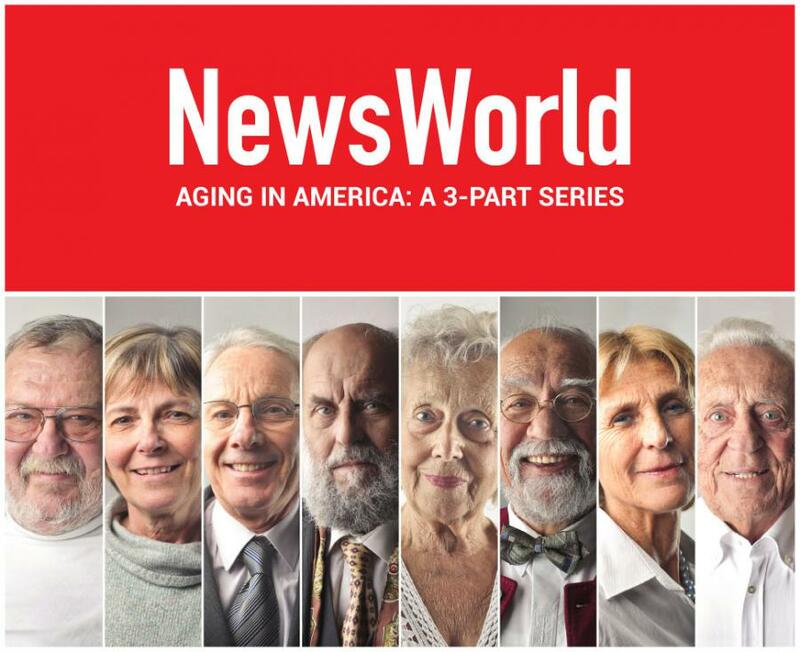 NEW YORK, NY, USA, July 5, 2018 /EINPresswire.com/ -- Welcome to part 2 of NewsWorld's first multi-part exclusive series on Aging in America. We will be running this in-depth piece just as America celebrates its own birthday. Sarah Toves, manager of Boise State's Center for Research, advises that the U.S. will never be as youthful as it is today, considering the demographic changes. The center's mission is to ensure that families, communities, cities, and our nation are prepared for the aging revolution. Truly embracing the change in demographics in light of the challenges and opportunities is paramount. Toevs asked the question, "How do we meet the needs of this section of the population that is growing the most rapidly?" One of the most significant needs is for senior housing. Some individuals are living their retirement years in places like The Terraces of Boise, which offer a full range of living options within one community, such as independent living, assisted living, residential living, skilled nursing living, and memory care living. Toevs noted that just five percent of older adults live in assisted living or skilled nursing facilities. The majority of seniors live with family or on their own, posing an incredible challenge for care providers, who provide uncompensated support. Ian Bongaardt of Comfort Keepers Springfield is keenly aware of this situation and works in his business each day to provide services to the large population of people who are aging outside of nursing homes. "We are regularly approached by individuals who are searching for assistance with aging parents," said Bongaardt, "who have moved in, or who are living on their own with the need for everything from companionship to skilled nursing services. There is a great demand for high-quality caregiving and support for individuals and families." The pressing and growing issue caught the attention of the Idaho Legislature, which from 2015, officially recognized family care providers as an important part of Idaho's healthcare system. Toevs and her staff in the Center for the Study of Aging are also investigating the issue. There has been a push to incorporate the family caregiver into the healthcare model. It is being suggested that when a healthcare provider sees an individual patient, they also consider the individual's caregiver and the support that they are giving. The goal is to incorporate that person and get the healthcare provider to consider ways to engage the caregiver and ensure that they are taking good care of themselves as well. Bongaardt points to respite care, as well, noting, "Caregivers need support, too. Without rejuvenation, there is a compounded risk of burnout." Getting old is not what it used to be. At least, that is what Bob Lowry has found in recent years as he has blazed a path by what many would consider being an early retirement. In the year 2001, by the age of 52, Lowry resigned from his job conducting a management consulting company for radio stations. His wife, Betty, left her teaching job not long after, and the two started to determine what to do the rest of their lives. However, retirement - and, in general, getting old - has not played out as Lowry expected. In reality, through his efforts to spread consciousness about aging and retirement with his blog, A Satisfying Retirement, Lowry discovered there is a great deal of confusion about what getting old looks like in the 21st century. He suggested that the greatest misconception is that by the age of 65 you retire and move to Florida. "This was the generation before mine. Very few of my readers are happy to sit on the lawn chair and play 18 holes of golf a day," says Lowry, who chose to stay in Scottsdale, Arizona, when he retired, as opposed to uproot and move away from family. Much ado has been made about the baby boom generation reaching retirement age and either leaving the workforce en masse - in part straining the country's social security funding - or staying in their jobs long after the traditionally standard retirement age. The Gallup poll earlier this year found that 74% of U.S. adults stated that hey intended to work in some capacity beyond age 65. This changing attitude towards work is just one cultural shift with which the country and its 50 states need to grapple, as an aging America becomes less of a far-off prediction and more of a full-blown reality. Since 1985 when 10.8 percent - a little more than one in 10 out of those 65-and-over - still working, the percentage has risen each year, and today stands at almost one in five or 19.2%. Experts predict that that percentage will continue to increase in the next several years. Part of the reluctance of older Americans to leave the workforce comes from the fact that individuals are living longer today than they were years ago. Per the Social Security Administration, the average 65-year-old man today may expect to live at least another 19 years. The average 65-year-old woman may expect at least another 21.5 years. 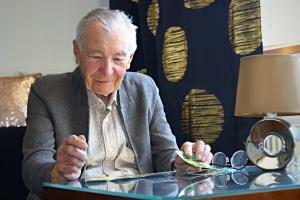 One in four 65-year-olds could expect to live past age 90, and one in 10 is likely to reach 95. Per the CDC and Prevention, the average 65-year-old in 1960 was considered fortunate to make it to 80. And while the CDC at 2015 recognized a small downtick in ordinary U.S. life expectancy - from 78.9 years to 78.8 - expectancy is still substantially higher than it was a few decades ago. According to Ronald Lee, a demography professor in the University of California, Berkeley's economics department, individuals started living longer, and as a rule, generally became far healthier and more vital in older age, in the twentieth century. He notes, "It does not appear intergenerationally fair that older individuals who are living longer and are fitter should be retiring earlier and getting support from working-aged men and women who are struggling themselves." Being able to remain in the workforce, or being forced to stay in the workforce, as it is in some cases (such as those of the individuals walloped by the recession a few years back) scratches the surface. The market and financial upheaval associated with America's aging population is placing a considerable strain on several state budgets in elevated healthcare burdens and reduced tax revenues. A report published earlier this year by the Urban Institute noted that the demographics shift puts pressure on either side of the ledger, decreasing some taxation revenue sources while pushing the demand for spending on services, particularly healthcare. A separate study from the National Association of State Budget Bureaus recently found that 33 states reported fiscal 2017 revenue collections lower than they'd forecasted. Aging populations are believed to be one of many factors exacerbating the budget situations. In a bid to find a more hands-on look in how individual states are faring under a demographics shift expected to play for ages to come, U.S. News put together the Best States for Aging ranking. "If we do not get out ahead of it, it is going to squeeze (everything including) transportation," states Democratic Gov. John Hickenlooper, indicating that he is determined to go after prices to make healthcare more affordable to citizens and less of a burden on the authorities. Colorado was among the ten youngest states U.S. News profiled, with only 14% of their population is at least 65 years of age. In states like Maine, West Virginia and Florida - where the older population accounts for 20.5 percent, 19.1 percent and 18.7 percent of people, correspondingly - the change in demographics is even more significant. Nevertheless, it isn't just individual states that are worried about rising healthcare expenses, lawmakers throughout the nation have expressed concerns as healthcare burdens continue to grow, and cash-strapped retirees attempt to determine how to pay their medical bills. "The biggest fear isn't the overall situation; it is health expenses. Medicare is fantastic; however it covers 80 percent if you are blessed. And the way Congress acts, nothing is guaranteed," Lowry says of interactions he had with readers as well as other elderly Americans throughout his web-blogging and book-writing. He concludes, "You can go to the gym in 12 hours per day, but you're going to get old, and you are going to fall apart. It is going to cost a very pretty penny." Indeed, Fidelity Investments estimated the average 65-year-old couple retiring this season would require $275, 000 stashed away to pay healthcare costs over the remainder of their lives. That is up 6% from one year ago. The BLS consumer price index, meanwhile, shows nursing home and adult daytime services have seen prices rise 37.2 percent throughout the country within the past ten years. Broader healthcare expenses, meanwhile, have gone up 35 percent. The indicator estimates prices contained in its calculations have climbed only 18 percent during that period. Healthcare prices are roughly double that of the nation's broader rate of inflation, and the healthcare side is where the primary concern is for the U.S. Lee states, "At this time, Medicare and Medicaid (costs) are still relatively modest compared to gross domestic product, but they are going to be increasing fairly quickly." Nonetheless, physiotherapy, in-home care and medical care as a whole have also increased costs. Affording health care became a concern for most, but millions of others have found new employment opportunities in businesses like healthcare and retirement planning as a baby boomers transition in their golden years. Aside from those industries, much of the private sector stands to benefit from the introduction of products that might not have seemed marketable years ago. Recently, Gillette introduced the new TREO razor machine, which was designed to simplify the task of shaving another person. Considering the number of adult children who are caring for their parents, from a social responsibility perspective, this is a noble pursuit. “Let's not overlook the fact that it's also fantastic business,” comments Michael Hodin, CEO of the Global Coalition of Aging, while pointing out that it is a functional analysis of an unmet need that they can fill in the market. Globally, there is about a $15 trillion silver economics, as it is called. States like Florida and Maine naturally enjoy stronger silver savings than younger and more spread-out states like Utah and Alaska, where only 10.9 percent and 11.3 percent of the people are at least 65 years old, respectively. However, the advent of remote monitoring technologies through screens and in-house tools could completely revolutionize how healthcare is practiced in these areas, allowing older workers to stay at home in areas where there is limited access to direct caregiving. "Aging on the spot is all the rage now, and internationally is also about to take off," says Hodin, who notes that Intel and Phillips, particularly, are at the cutting edge of many of those elder-focused technological innovations. "A chance to transform the delivery of healthcare, where remote monitoring becomes a standard of care and where, rather than having to run to the doctor's office or hospital, is phenomenal, " he says. Hodin's coalition collaborates with a host of private sector companies like Bank of America, Merrill Lynch, General Electric, Intel, Deloitte, Pfizer and others because they aim to increase consciousness on the global aging trend, prepare businesses to keep older workers on payroll and possibly identify new business opportunities to better connect with that older demographic. "This effort to make corporate America more elderly friendly is crucial," he says,"if businesses want to attract older clients and eventually take benefit of the glut of older workers remaining at work longer." He likens the possible impact of a more accepting corporate environment for older Americans to the rise of women at work decades ago. "We opened up a whole portion of society which has added billions of dollars in economic impact and was a driver of growth throughout the women's movement. And you may do the same thing with a 55 and over class," he says, commenting that such is the model from a societal viewpoint. He believes that, in a sense, this model can be a requirement for many businesses as they struggle to attract younger workers in the years ahead. America's aging tendency is twofold in that people are living longer while birth rates have diminished. According to the CDC, the number of all U.S. births fell 1 percent in 2016 alone, decreasing the overall fertility rate to 62 births per 1, 000 women between ages 15 and 44. "Whenever you look at the trend line, especially in the public policy perspective, it is the low birth rates having the biggest effect, because it profoundly transforms the character of society," Hodin states. There are more old (people) than young around the world. The U.S. is less dramatically involved with that at this moment, but it is coming to us quite rapidly." It is also noted, however, that the story of aging seems to have taken on a negative connotation in recent years, as opposed to just a couple decades ago. Concerns about healthcare financing, Social Security viability, state pension burden and tax revenue reduction became the new norm, and elderly health in specific ways appears to have plateaued. Another disturbing trend is that the people between 50 and 65, before the brink of getting older, state that they have had rising disability rates, increasing obesity, increasing diabetes mellitus, and once they begin turning 65, they might well be in worse health than earlier generations. Such is a cloud on the horizon. Lowry says retirement and aging in the twenty-first century is not all doom and gloom, however, and describes his own experience as extremely positive, noting that, though latest research has indicated middle-aged Americans are not the peaks of health that they once were, the nation's older people today are largely more mobile and healthful than they were in years past. In a certain sense, he states, 65 is the new 75. “It is a very positive experience now.” Lowry goes on to note that the aging process has been reinvented. "The idea of moving to Sun City and driving around in a golf cart all day is simply not acceptable anymore," he says. Just five percent of older adults live in assisted living or skilled nursing facilities. The majority of seniors live with family or on their own.